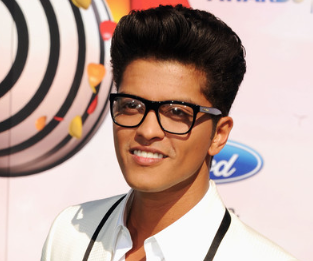 Bruno Mars had a flirty dinner with Jessica Caban Wednesday night. The “Nothin’ On You” singer showed up at Co-Op at the Hotel on Rivington and looked for Nuvo TV’s “Model Latina” winner, who was there with 2 pals. A source dished that Bruno and Jessica were flirting until they left together with friends. The group drank bottles of sake and cocktails. It was also reported that Bruno ordered steak and fed a brownie dessert to Jessica with his fork. And the singer serenaded the girls and co-owner Jason Apfelbaum, who was celebrating his birthday.